Over the years scholars have debated exhaustively, on how Europe has developed the underdevelopment of Africa in statistical and qualitative evidences. But, a catalytic agent such as over population is taken for granted, there by ignoring how it arrests the forwardness of a continent that admire it irregularities. 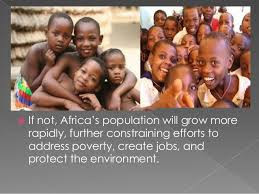 From an African perspective over population is a stereotype, it can be rightly called a way of life that leads to the cultivation of population growth. 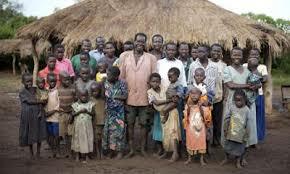 We can easily find an African rural nuclear family consisting of father, mother and eight (8) children surviving on a produce meant to feed and clothe them. With this way of life, it rubs off on the children to accept a crude way of living, only to be consumed by what underdeveloped the family tree to the present generation. If a country with low capital per-income can not control its’ population and increase its’ productivity, what then is the fate of such a country? Over-population brings about the notion that the uneducated poor are not cared for, further disrupting the trust the younger people should have in their country. Nigeria population in the north has really dealt a heavy blow to its economic struggle, with the north modeling almost every aspect of challenges facing Nigeria. But not to ignore the number of deportees from the western world, they are majorly the product of southern Nigerians, who are desperate seeking to impress their over exaggerated ambition. Ethiopia is talked about here as a result of its historical opulence over the past hundred years. Ethiopia is the 2nd largest African country (approximately 100 million) second to Nigeria (180nillion). It faced the challenge of famine, poverty and chronic food insecurity in 2016. As stated by world food programme, the country’s population is growing at a yearly rate of 2.5%, more than half of this population live in less than a dollar with birth rates at the highest level in the rural areas which is above 80%. There is basically a little or no need to draw comparison with the western world because Africa is richer in size but poorly developed until we learn to dress our wounds or we will loose the war we created. Over population has multiplied the chains of desolation that accompanies poverty, hunger and illiteracy. If federal governments of these Africa countries do not involve active legal action, population control will become the New “Epidemic” which will last as long as we live. If families are taught the need of birth control and its ideology of accepting manageable family sizes in Africa, then the families will learn to improve their standard of living. Yes, this is a great and good dimension from Harrison Titus. Thank you all, more good views to develop our undeveloped Africa. 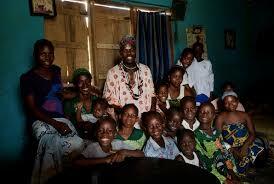 yes over popullation is truelly an african under development agent.